LCD Touch Screen Digitizer Assembly with bezel. for DELL Inspiron 13 5000 Series P69G. •For: DELL Inspiron 13 5000 Series P69G. Compatible Model : For Dell Inspiron 13 5000 P69G. •LCD Model: B133HAB01.0 or compatible (Not fit for LP133WF2-SPL2 / N133HCE-EAA ). LCD Touch Screen Assembly Frame for DELL Inspiron 13-7347 7348 (1920x1080 only) • Item Condition: brandnew | with original "windows" Logo , we remove the logo in the picture • For: DELL Inspiron 13 7000 Series 13-7347 / 13-7348 , not for 7352 7353 !!! • Size: 13.3" • Resolution: 1920x1080 , not for 1366x768!!! If your laptop is with the resolution of 1366x768 , please contact us • LCD Model: LTN133HL03-201 or compatible • Scope of supply: 1 x LCD Touch screen Digitizer Assembly (with bezel). The item is only a LCD Screen, without the Touchscreen Glass. •​Backlight: LED. Backlight : LED. •​Screen Finish: glossy or matte. Screen finish : glossy or matte. MPN : Does not apply. Pick up is not available. Data Cable Pins: 30 pins, Bottom Right connector (If facing the back of the screen). to LED is not possible. If your laptop uses a CCFL-backlit screen, you must order a CCFL laptop screen; if. it uses an LED-backlit screen, you must order an LED laptop screen. For Dell Inspiron 11 3000 Series P20T. Compatible Product Line : For Dell Inspiron 11 3000 Series P20T. LCD Touch Screen Assembly. Compatible Model : For Dell. MPN : Does not apply. Pick up is not available. Resolution: HD(1366x768). Backlight type: LED. After performing the requested task, we will call you again. It's as easy as that! Model: Part No for Reference Only. Easy, Low Cost Repairs and Installations. For DELL Inspiron 15-7548. LCD and Touch Screen - Silver. Backlight type: LED. Resolution: FHD(1920x1080). Backlight type: LED. Model: Part No for Reference Only. After performing the requested task, we will call you again. It's as easy as that! Easy, Low Cost Repairs and Installations. For Dell Inspiron 11 3000 Series 3157. Compatible Product Line : For Dell Inspiron 11 3000 Series 3157. LCD Touch Screen Assembly. Compatible Model : For Dell. •​LCD Model: HN116WXA-200or compatible. LCD Model : HN116WXA-200 or compatible. 15.6" LED LCD TN Panel. •​Display Colors: 94% NTSC Color Anti-Glare display. •​Backlight: LED. • Screen Model: N156HHE-GA1 or fully compatible model. •​Frequency: 120 Hz. Backlight : LED. •​Screen Finish: glossy or matte. For DELL Inspiron 13 5000 Series 5368. •For: DELL Inspiron 13 5000 Series 5368. LCD Touch Screen Digitizer Assembly with bezel. Compatible Model : For Dell Inspiron 13 5000 5368. •LCD Model: B133HAB01.0 or compatible. Part No. : DC02001SI00 DC02001N400. Specification : LED Screen Display Connection LVDS Cable. Compatible : Laptop Dell Inspiron 15 3521 Series Laptop. Our services includeRepair Motherboard & Graphic Card. Backlight type: LED. After performing the requested task, we will call you again. It's as easy as that! Model: Part No for Reference Only. We also can process credit cards over the phone (this can take up to 10 minutes). TYPE: Screen Cable. We also can process credit cards over the phone (this can take up to 10 minutes). After performing the requested task, we will call you again. It's as easy as that! Model: Part No for Reference Only. Compatible : Laptop Dell Inspiron N5040 M5040 N5050 Series Laptop. Specification : LED Screen Display Connection LVDS Cable. Our services includeRepair Motherboard & Graphic Card. 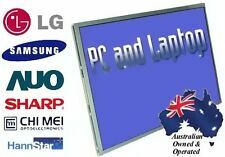 Replace broken display screens, case, cover, faulty keyboards, etc. Backlight Type: LED. we must try our best to solve your problem promptly. Add to Skype. Warranty: 2 years. Technology: Active Matrix TFT. Dell D669J & 1JC2N ( not CCFL backlight). Dell Inspiron N5030 & M5030 ( not CCFL backlight). Dell Inspiron N5010 & N5020 ( not CCFL backlight). Data Cable Pins: 40 Pins, Bottom Left connector (If facing the back of the screen). For Dell Inspiron 15 I5558 15-5559. •​For : Dell Inspiron 15 I5558 15-5559. Compatible Model : For Dell Inspiron 15 I5558 15-5559. LCD Screen with Touch function. •​ The item is a LCD Screen with touch function. Backlight type: LED. We also can process credit cards over the phone (this can take up to 10 minutes). Model: Part No for Reference Only. After performing the requested task, we will call you again. Trending at AU $74.29eBay determines this price through a machine-learned model of the product's sale prices within the last 90 days. For DELL Inspiron 13 7000 Series (1920x1080 only). •For: DELL Inspiron 13 7000 Series. Compatible Model : For DELL Inspiron 13 7000 Series 1920x1080 version. LCD Touch Screen Assembly. •LCD Model: LTN133HL03-201 or compatible. >Screen Type : LED - TOUCH. Panel supplied will be as specified below and will be compatible with theexact model number listed in the title. ->Backlight : LED. ->Data Connector : 40 Pins. Only cash accepted for pickup. For Dell Inspiron 11 3000 Series 3167 3168. Compatible Product Line : For Dell Inspiron 11 3000 Series 3167 3168. LCD Touch Screen Assembly. Compatible Model : For Dell. •LCD Model: B116XTB01.0 orcompatible. Resolution: 1366 768 pixels. Item includes: LeD Panel without inverter or bracket. Backlight Type: LED. Screen Type: TFT Active Matrix Glossy. pick up available. Compatible Model: LP156WH4 (TL)(A1), LTN156AT05, LTN156AT02, B156XW02, LP156WH2, N156B6. For Dell Inspiron 15-5547 (1920x1080). •​For: Dell Inspiron 15-5547. Compatible Model : For Dell Inspiron 15-5547. LED Touch Display. This screen is with 1920x1080 resolution, which is compatible with 1366x768 verion.